A collection of videos, activities and worksheets that are suitable for A Level Maths. 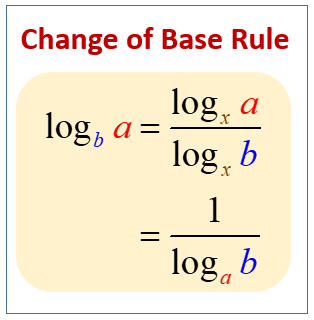 The following figure gives the change of base rule for logarithms. Scroll down the page for more examples and solutions.